Here’s Juria! Even though she’s only 17, Juria Nakagawa is one of the most well-known street snap girls in Harajuku right now. To say that she stands out of the crowd would be a major understatement. 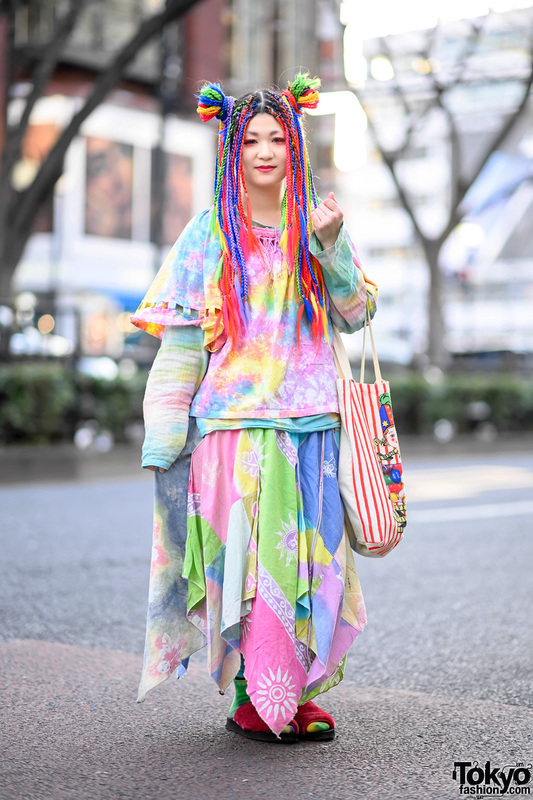 Juria also happens to work at the hippest legwear shop in Harajuku – AvantGarde. Juria is wearing a cute lace tank top from Lily Brown with shorts from Topshop, machine gun tights from AvantGarde Harajuku, and Dr. Martens boots in lavender (matching her hair color and eye makeup). 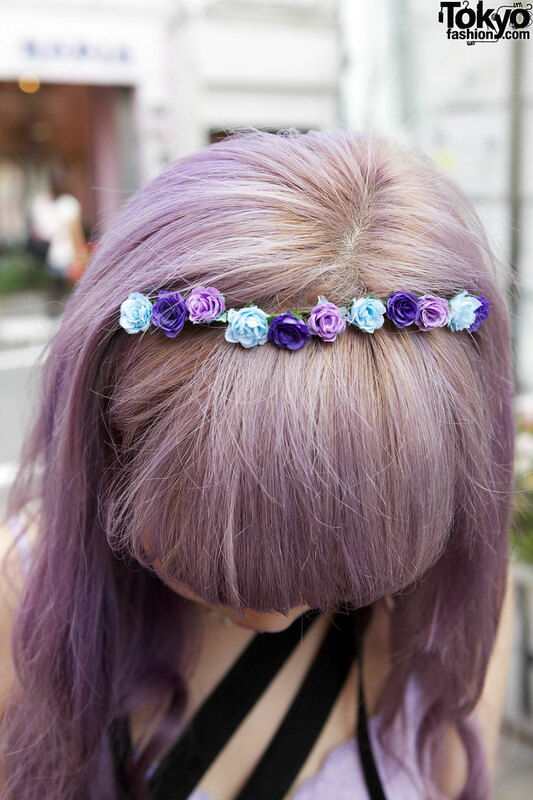 Accessories – some of which came from Bubbles – include a flower headband, a choker, tattoo bracelets, a DSLR camera, and a canvas bag from Honey mi Honey. Juria’s favorite shops are Bubbles Harajuku and Avant Garde Harajuku. As far as music, she said that lately she’s been listening to a lot of AC/DC. If you’d like to know more about Juria, you might want to follow her on Twitter and/or Tumblr. 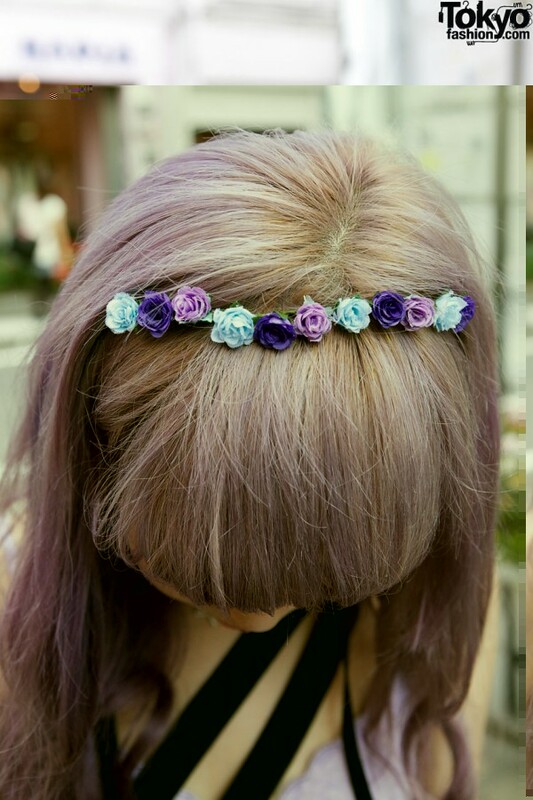 Tones are dope, lovely hair and style. I wonder if she shoots film? look at those badass tights! and her shoes are perfect! I wonder if she still goes to school….? 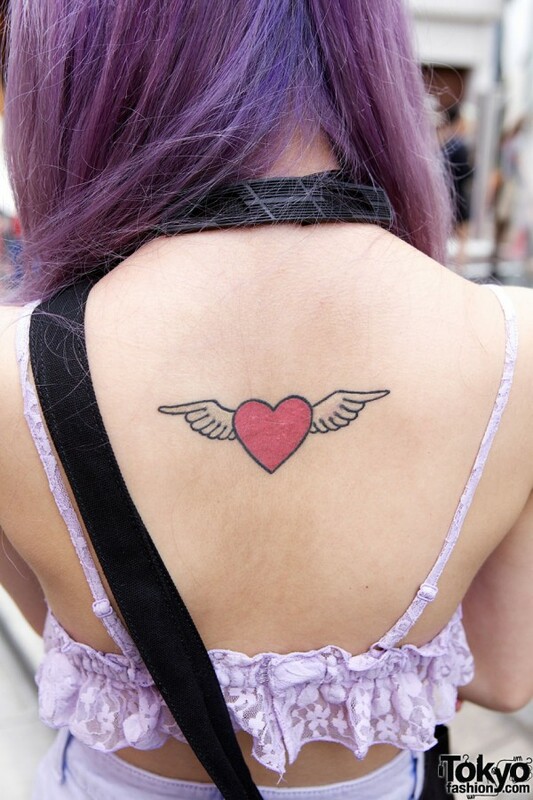 AND GASP IS THAT A REAL TATTOO? Ichiban Gunslinger Girl stockings ! Does anyone know where the Avante Garde store in Harajuku is located?